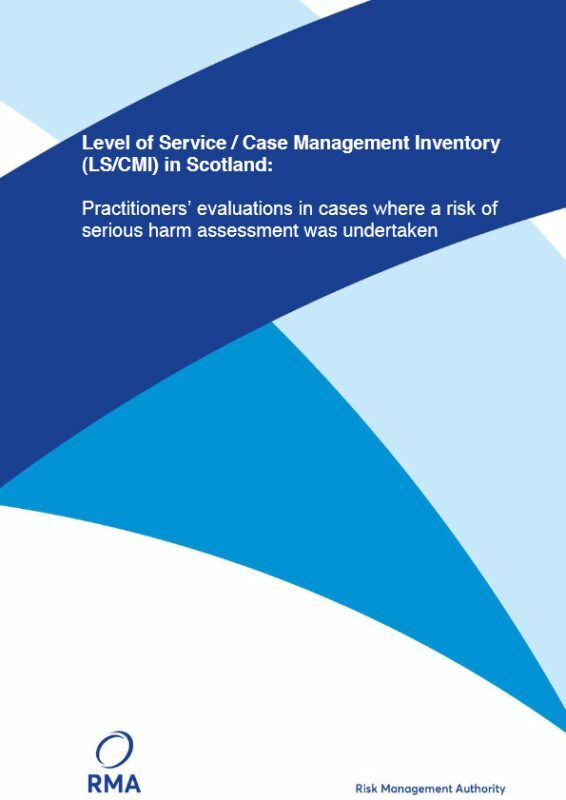 The purpose of the LS/CMI reports is to provide an analysis of information from the use of the LS/CMI system in Scotland to support the development of self-evaluation, quality assurance measures and service planning. This analysis is also intended to provide local authorities with a national comparison to the data provided in each local authority previously. Following publication of LS/CMI In Practice reports for each local authority and the National Report in 2014 a number of topics for further examination were identified by the RMA and SW Scotland. These reports will include an initial overview of the profiles of those who met the criteria for further risk of serious harm assessment and a comparative report on the use of the LS/CMI method in custody. 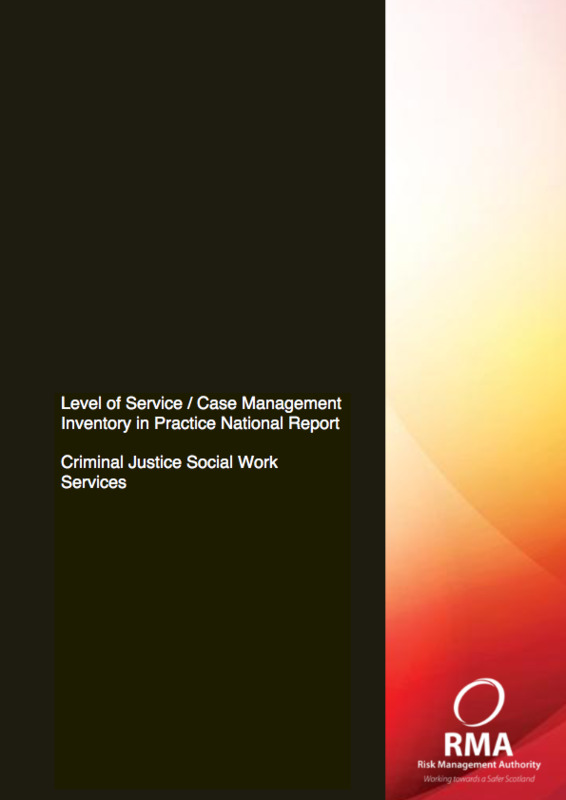 The RMA would like to thank Criminal Justice Social Work Services for their ongoing collaboration in providing data and look forward to providing the further analysis agreed in the Standing Committee. 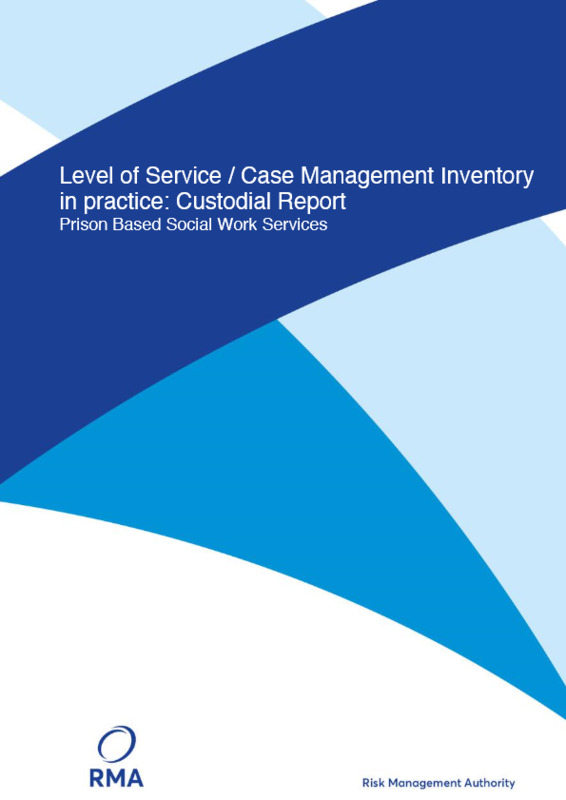 This report provides a broad analysis of information from the use of the LS/CMI within a custodial setting in Scotland and draws upon aggregated data provided by all prison based Criminal Justice Social Work Services in October 2016. This report provides a profile of individuals assessed within the community who met the criteria for further risk of serious harm assessment. Further, it provides a comparison of those assessed as high or very high risk of serious harm against those assessed as low or medium risk of serious harm. This report draws on aggregated data provided by Criminal Justice Social Work Services across Scotland between 2010 and April 2015. To access the local LS/CMI In Practice reports or Learning Evaluation report please use the login link below.